Uzo is the Regional Head of Anglophone Africa for the Aspen Management Partnership for Health. She comes to AMP Health with over 10 years of experience across the healthcare industry with a variety of strategy and operations roles. Most recently she was the Senior Program Manager for Reproductive and Maternal Health at the Clinton Health Access Initiative (CHAI) Nigeria where she worked with the Federal Ministry of Health to improve Nigeria’s maternal and reproductive health indices. Prior to CHAI she worked at Accenture in its life sciences and international development practices in New York, Johannesburg, and Lagos. In addition, she held a variety of sales and marketing roles at pharmaceutical companies across the United States. 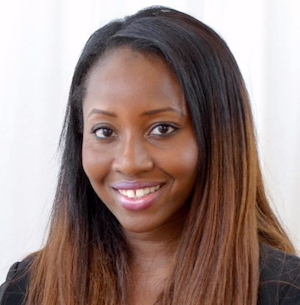 Uzo holds an MBA in Finance and Management from The Wharton School and BA in Marketing from The University of Delaware.